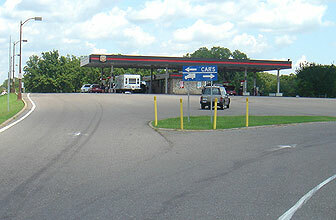 As I drive across country (or just on the local turnpike), I sometimes stop at a rest area. 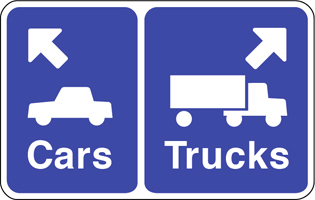 As the exit ramp approaches the rest area, there is a split - trucks one way, - for longer parking slots - and cars another way. 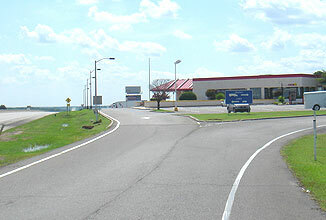 At this Y split, there is a sign guiding the driver who must make a decision in a second or two. 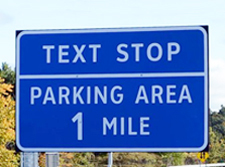 There are several factors influencing the driver's attention: he/she is navigating the exit ramp, wondering which way to go, there is often music playing, and there are sometimes anxious passengers in the mix. 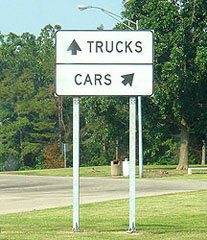 The sign must be so clear that a driver can comprehend it and make a decision almost immediately. 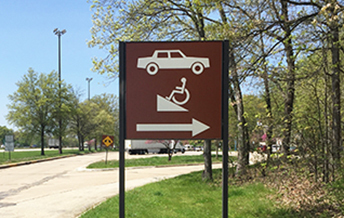 Most of the existing signs are poorly designed. 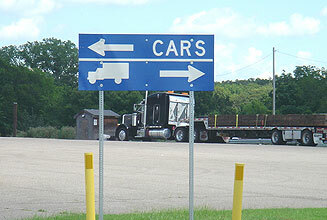 As I drive across country (or just on the local turnpike), I sometimes stop at a Rest Area. 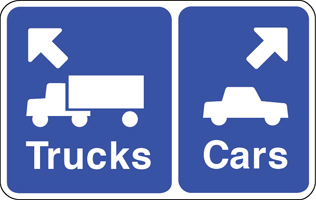 As the exit ramp approaches the Rest Area, there is a split - trucks one way - for longer parking slots - and cars another way. 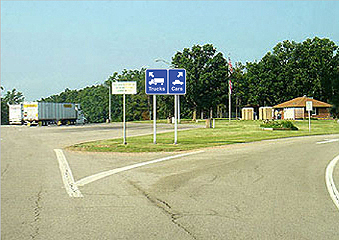 At this Y split, there is a sign guiding the driver who must make a decision in a second or two. 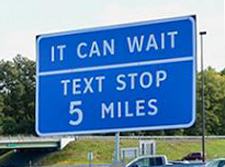 There are several factors influencing the driver's attention: he/she is navigating the exit ramp, wondering which way to go, there is often music playing, and there are sometimes anxious passengers in the mix. 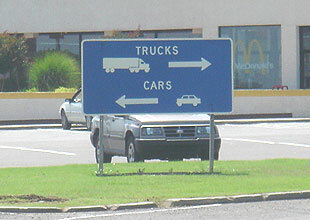 The sign must be so clear that a driver can comprehend it and make a decision almost immediately. Most existing Rest Area signs are poorly designed. • Quick to understand - minimum time required to decipher. 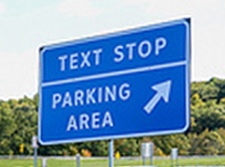 • Easily understood - visual cues, text and icons, to convey message. 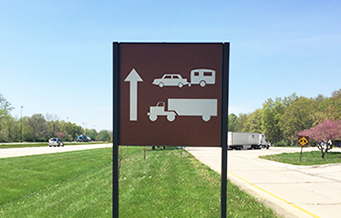 • Familiar - use existing highway sign icons, text, and colors. • Universal - icons that overcome language barriers. • Consistent - increase recognition through national use. • Adaptable to a variety of locations.